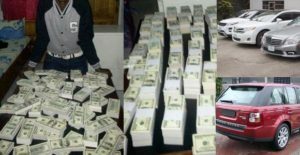 An unidentified internet fraudster, a.k.a Yahoo boy, has reportedly confessed to making N1.8 billion before retiring from cyber fraud business. According to the report which has gone viral online, the former fraudster also exposed methods in which various scams and money rituals are carried out in Nigeria. “After the person sends you money, you must buy ram and wear one tira round its neck. The ram will die overnight! A Lagos big girl that does aristo and uses this on senators actually took me to where I did this one and the lady has been mentioned online over and over again.